In 1931, British aristocrat and naturalist Lord Lionel Walter Rothschild sold his extensive bird collection to the American Museum of Natural History for the bargain price of $225,000. The acquisition of the roughly 280,000 birds—estimated to have been worth as much as $2 million—was a great coup for the museum, and it took curators years just to unpack it. Many fellow ornithologists were surprised that Rothschild, an obsessive bird collector, had been able to part with his specimens, but the public wouldn’t learn the reason behind the sale until after his death. 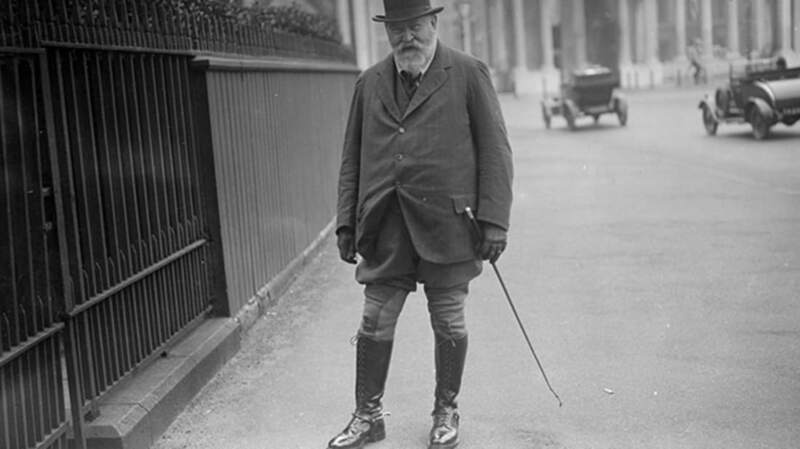 Walter Rothschild was born in 1868, the scion of the extremely wealthy Rothschild banking family. From a young age he was obsessed with animals, and spent hours observing the insects in the family garden. His family encouraged his passion and gave him funds to start collecting a menagerie, which by the time he went off to university included kangaroos, cranes, storks, zebras, wild horses, emus, a spiny anteater, and a pangolin. Once Walter’s studies were over, he was expected to go into the family business, which he did dutifully, but his heart wasn’t in it. Although he stayed at his desk for 15 years, his focus remained on curating his animal collection. Bankrolled by his parents, Walter employed numerous people to collect exotic specimens from remote parts of the globe, which he kept at his private zoo in Tring (about 40 miles northwest of London) or had stuffed for his collection. Walter eventually compiled what is said to be the largest collection of animal samples ever amassed by a private individual, with over 300,000 bird skins, 200,000 bird’s eggs, 30,000 beetles, and numerous mammals and reptiles. Despite being very shy, Walter was a determined character, a fact evidenced by his quest to prove that wild zebras could be tamed. Having rejected the consensus that the animals were untameable, Walter employed a horse trainer who worked with a number of zebras in his collection until they were sufficiently cowed to be tethered to a cart. Walter then drove a carriage pulled by six tamed zebras across London and up to the gates of Buckingham Palace. Although Walter was an eccentric—he also liked to ride on the back of his giant tortoise, dangling a lettuce leaf in front of the creature to inspire movement—he was deadly serious about collecting and recording exotic species. Due to his family’s vast wealth, he was able to search far and wide for new and exciting animals. As a result, he was responsible for identifying and naming 153 new insects, 58 types of bird, and three spiders, and perhaps most famously for identifying a sub-species of giraffe, the Rothschild giraffe, during a trip to east Africa in the early 1900s. Although Rothschild loved all nature, his chief love (some might say obsession) was the cassowary, a giant flightless bird with a colorful neck that’s native to Papua New Guinea and the surrounding islands. Rothschild obsessively collected cassowaries both alive and dead, studying their habits, plumage, and behavior. In 1900 his efforts came to fruition when he published his magnum opus, A monograph of the genus Casuarius, complete with numerous beautifully illustrated color plates of the birds. But as meticulous as Walter was about his collecting, his personal life was messy. For 40 years, he kept a secret that eventually drove him to despair and forced the sale of a large portion of his life’s work. That secret? He was being blackmailed. For many years Walter supported two demanding mistresses—aspiring actress Marie Fredensen and Lizzie Ritchie, both of whom he met at a party held by King Edward VII. He set both women up in London apartments and juggled spending time with them, until Lizzie found out about Marie. She began threatening Walter, and attempting to confront his mother. Walter found the pressure unbearable, and resorted to ignoring her pleading letters. It took his younger brother Charles to negotiate terms, ultimately buying off both women with property and cash. However, Lizzie and Marie weren’t directly responsible for the sale of the bird collection. Walter also allowed himself to be blackmailed for 40 years by a third former lover. The increasing demands for money, and his desperate desire to keep his scandalous love life secret, exerted huge pressure on him. By 1931, he was desperate for cash to silence his blackmailer. The easiest way to obtain money was to sell off his beloved bird collection, and the AMNH—with readily available money and with a strict promise to keep the collection intact—offered a speedy and secret sale. This was the beginning of the end for Walter; his health began to fail soon afterward, and within a few years he was dead. It is difficult not to feel pity for poor Walter, but some comfort can be taken in the knowledge that when he came to sell his extensive bird collection, he was able to negotiate keeping the most precious part—the 65 cassowaries he had expertly stuffed. So today, when you stroll around the American Museum of Natural History, or the Natural History Museum at Tring—where the rest of his collection was gifted to the nation after his death—take a moment to enjoy the extraordinary diversity of bird and animal life represented there, and whisper a little thanks to this great Victorian eccentric.